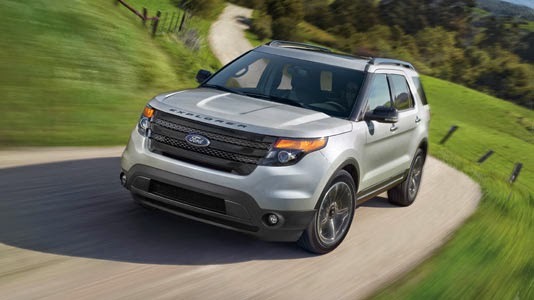 BRIGHTON, Mich - It was back in 2012 when the 365-horsepower, twin-turbocharged Ford Explorer Sport started to grab the attention of families who were looking for a vehicle to join them on a cross-country adventure. But now after some recent research, it seems that families are not the only ones who find all of the Explorer Sport's capabilities highly useful. The high performance and stylish Explorer Sport is now intriguing the younger, more affluent Ford consumers, with nearly one-quarter of sales being from buyers under 35 years old. Surprisingly while the Explorer Sport is intriguing the younger, more affluent Ford Customers, 90 percent of sales come with the higher-level trim package starting at roughly $47,000. What makes this so interesting is that typically it is the older customers who have more disposable income to purchase the more expensive vehicles. Ford, and the auto industry as a whole, is now experiencing the group of millennial buyers. These are customers between the ages of 18 and 34 whom are well-educated, financially successful and provide the automaker with a better chance of customer retention. The Explorer Sport spends an average of ONLY 19 days on dealer's lots before finding a buyer, earning its spot as one of Ford Motor Company's fastest-selling models. Learn more about the 2015 Ford Explorer at Brighton Ford! We are located at 8240 Grand River Ave. just north of I-96 in Brighton. We are a family owned and operated business that strives for customer satisfaction. For more information on Brighton Ford visit BrightonFord.com or give us a call at (800) 836-7417.